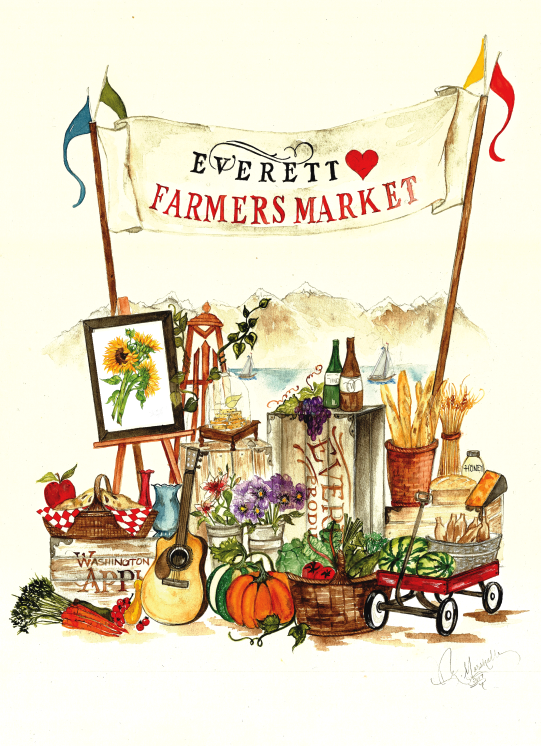 The inspiration for the artwork for the Everett Farmers Market 25th Anniversary Poster came from wanting to represent the feel and location of the Market through illustrations and words. Kathleen’s love of “words as art” started in kindergarten where she was the only child in class to master “cursive writing”. In 4th grade she won her first art contest at the local supermarket. Her prize… 3 art instruction books. She provided the graphics and artwork for the family owned business through her school years. After high school and college she attended the Burnley School, a professional commercial art school in Seattle. She started her own graphic arts business on South Whidbey, developing many local business identities along with their print and advertising jobs. 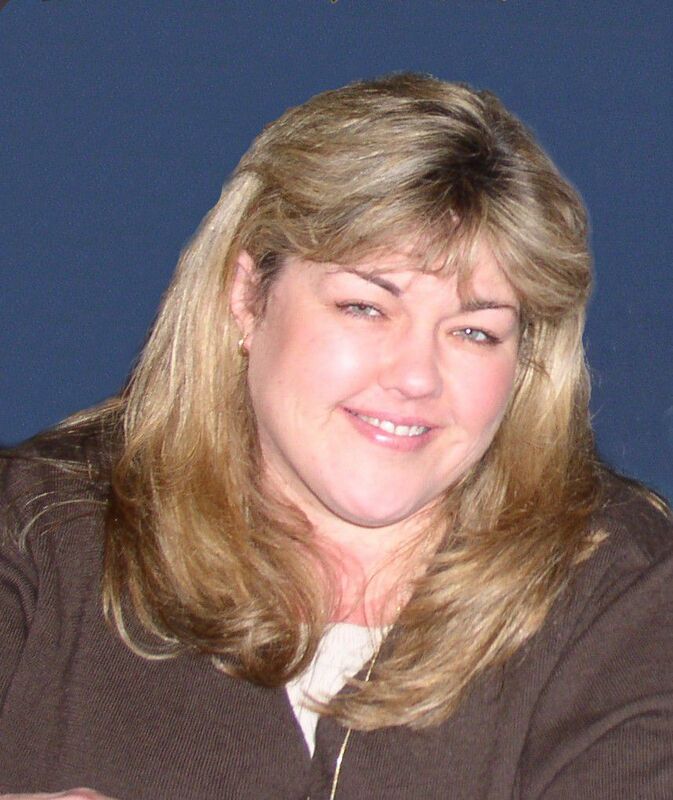 During that time she worked with the Washington State Mortgage Brokers Association as their marketing director. Kathleen lives on Whidbey Island with her husband Patrick ( known for Whidbey Sweet Treats) and her French and English Bulldogs, often her illustration subjects, Lucy and Madison. She enjoys selling her work at the select local businesses and Farmers Markets, including the Everett Farmers Market.